A boiler stove can take your wood burning stove from being an add on, cost saver or nicety to a central part of your homes central heating system. Boiler stoves have an integral water boiler which can be plumbed into your standard heating system to provide heat all round your home and even provide you with hot running water. The benefits of using a boiler stove over normal gas central heating systems are many fold. First and most prominent is the large cost savings that can be gained from using an efficient wood burning stove to heat your entire house. With the ever rising prices of gas and electric, wood burning stoves are now a serious alternative to traditional heating options for the large cost savings that they provide. Boiler stoves are also more environmentally friendly, providing a much more efficient heat source than their gas or electric counterparts and when used with eco fuel provides the greatest efficiency from renewable energy sources. It is not a case of either having a gas central heating system or a boiler stove either, you can have both running side by side. Your local plumber or heating engineer should be able to install your boiler stove for you so that you can shut off your gas boiler when you light your stove and use this to heat your home when it is running – you really then have the best of both worlds! 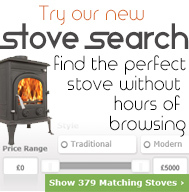 See our range of boiler stoves here or feel free to call from more details.